Farmers, SME and other organisations. Confederación Nacional del Trabajo (CNT-AIT) of Extremadura. 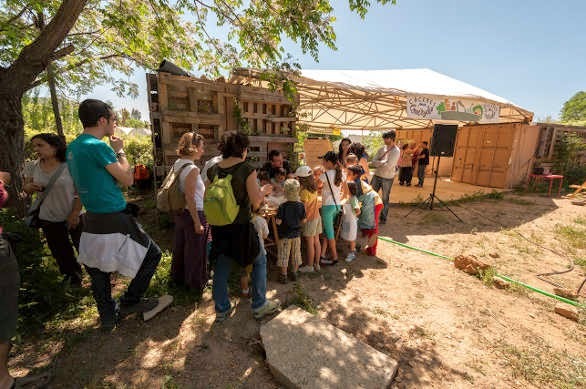 BBBParty II for "Edible Cáceres" campaign last Sunday 4th May 2014. New cooperative consumers tasted Kirios de Adrada wines and Luis San José asparagus. Delicious! The main mission of ACTYVA Co is to offer training and consultancy and networking services to organic and low input agrobusiness companies and farmers, as to job seekers in this field as well. 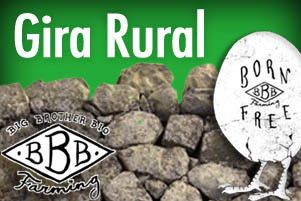 In this effor, our main tool is the BBBFarming online platform. Bueno. Organic certified or at least neither GMO nor synthetic chemicals. Bonito. Friendly marketing to increase acceptance and demand for direct selling food producers. Barato. Same farm-gate price wherever the product goes and minimum cost of trade and transport in order to increase affordability to any consumer. In Spanish, BBB is the acronym of “bueno, bonito, barato”: good, nice and cheap. Organic and non organic certified products will be under a full quality scheme based on a participatory guarantee system (PGS) in what all the members of the food supply chain are involved thanks to the multi-stakeholder condition of ACTYVA Co and following the guidelines of Extremadura Sana-ASAP and IFOAM. Needless to say, in accordance to our ideas about sustainability, we prefer local markets and supply chains that are as short and direct as possible. However, there are some products which, at least during some periods of the year, cannot be grown in colder climate countries. On the other hand, some BBBFarmers have an exceeding production which cannot be absorbed by local markets, and which could suit the seasonal necessities of British or German box schemes. We are committed to maintain the farm price, with the only add of the shipment costs. The minimum amount to order is one pallet -600 kg-. At this moment, there are 4 different BBBFarmers who want to send part of their production abroad. Kirios de Adrada is a small, family run vineyard and winery in the region of Burgos. Within the Designation of Origin “Ribera del Duero”, they produce the finest organic and biodinamic wine. It holds the name “Ácrata” for a good reason, since it comes from vineyards belonging to traditional and marginalized varieties growing under hard climatic conditions on rough lands. Also from the north of Spain, and under the same Designation, Huerta Luis San José offers its green and white asparagus. Without adding any chemical substance and respecting the proceedings of organic agriculture, this crop has been grown in the area since the time of Romans. According to many testimonies, those asparagus are among Spain's finest. In the eastern region of Teruel, Ecomatarranya is a young and rebellious cooperative that has just started production. Although they are planning to grow a big diversity of vegetables, up to the moment they have begun to sell their 100% organic virgin olive oil, olives -seasoned in the traditional Aragonese way- and almonds. Finally, in the north of the Extremadura region, TornaSanas offers highest quality of organic cherries coming from the traditional orchards on the terraces of the steep slopes of the Jerte Valley, home to the tasty and juicy picota cherry. And more are to come!